A careless touch could be all police or insurance companies need to determine not only your identity, but also your criminal history and certain medical conditions. "A fingerprint is only good to identify a criminal if you already have their fingerprint on file," says David Russell, a professor at the University of East Anglia. Russell, along with Dr Pompi Hazarika, helped developed the new technique, which appears in the German journal, Angewandte Chemie. "This will give police new tools to help discover that identity," says Russell. 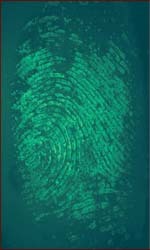 For decades forensic scientists have dusted fingerprints with magnetic particles to reveal the hidden swirls and curls that differentiate each person on the planet. 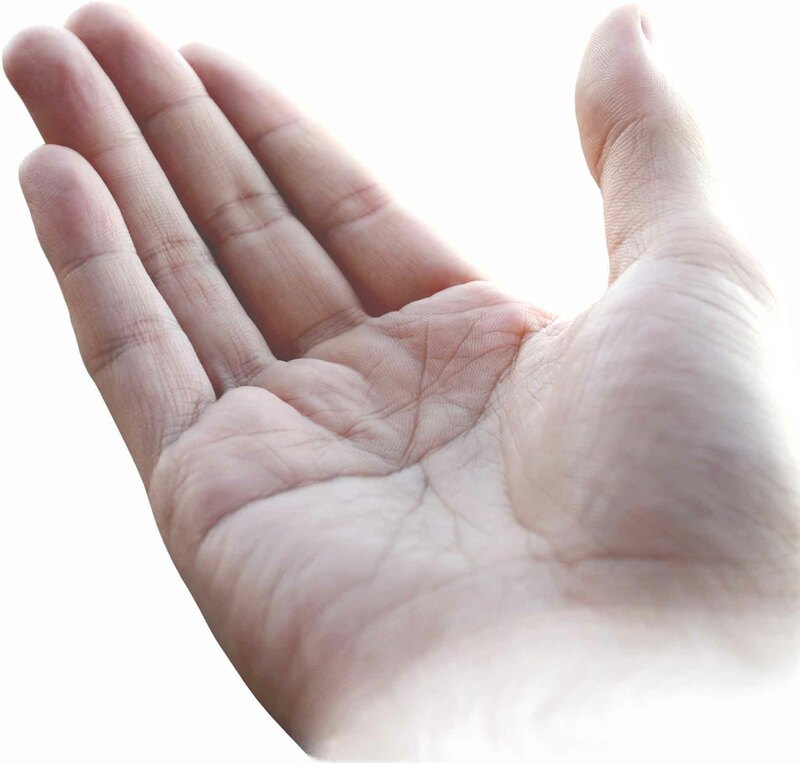 The iron oxide particles attach themselves to the tiny bits of water, minerals, and oils that accumulate on the fingers as they touch various objects and other parts of the body. 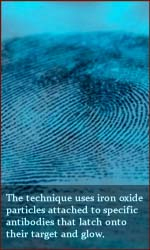 The new technique attaches the iron oxide particles to antibodies and suspends them both in a liquid solution, which is then drizzled over a fingerprint. If the chemical that a specific antibody targets is present, the molecules latch onto it and glow. So far the scientists can detect five different drugs: THC (marijuana), cocaine, nicotine, methadone and a derivative of methadone. Other drugs, particularly opium-based drugs like heroine or morphine, should also be detectable, since antibodies already exist for them as well. Drugs aren't the only chemicals the new tests could detect. Cancer, diabetes, heart disease and other medical conditions produce specific chemicals also secreted in sweat and oil. By tweaking the antibodies on the particles, forensic scientists could test for a variety of medical conditions. This could help police track down a suspect by, say, watching the local kidney dialysis clinic if the suspect has kidney failure. On the other side, prosecutors could also use additional fingerprint information to convict criminals, or defenders could use it to help keep clients out of jail. If a fingerprint has the antibodies for, say, a genetic disease that a client doesn't have, a defender could use that information to raise doubts about the prosecutor's case. The new fingerprint analysis doesn't only monitor the body's internal environment - it also reveals external information. If a person fires a gun or has handled explosive material, trace amounts of those chemicals are left on the hand, which can then be detected if the person leaves a fingerprint. "I think this is quite important," says Professor Graham Cooks of Purdue University who does similar work. "Now you get the connection between the identity of the individual, through the physical fingerprint, and particular compounds, which are associated with the virtual fingerprint." The technique will certainly help police gain more information about criminals, but there are privacy concerns for law abiding citizens, says Cooks. "If I come to your office and leave a fingerprint on your desk, you now have a biomedical sample of me," he says. "You can then proceed to find out as much information about me as you want," from what lotion you used that morning to what drugs you did last night. Researchers won't speculate on when the new fingerprint analysis will be commercially available to police departments or how expensive a commercial version will be. But they do say it will have to pass several tests to ensure the system doesn't produce false positives, or that a person who, for instance, didn't use drugs comes across as testing positive for cocaine.